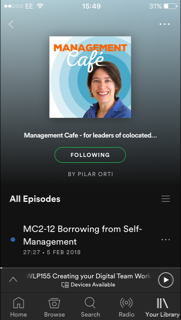 In this episode, Pilar talks through the components of Emotional Intelligence, as defined by Daniel Goleman. Remember, just because your team is virtual, it doesn't mean that emotions won't travel throughout the team: they'll just use a different medium. Below are some notes about the content of this episode. To read the full notes, go to the Management Café podcast website. You can listen to the episode from this player, or from your podcast app. The Components of Emotional Intelligence. Related to Emotions in the Workplace. We also discover the emotional competencies of high-performance teams.